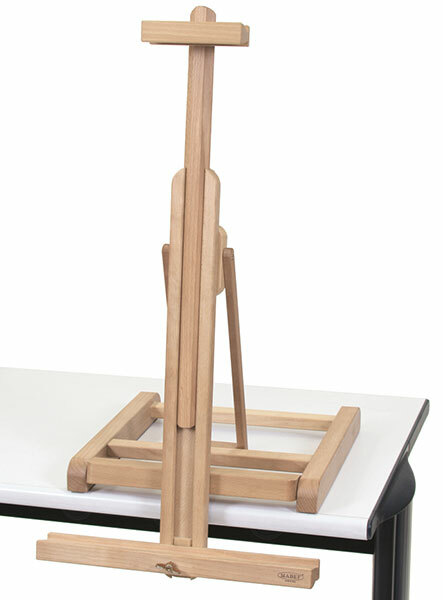 Constructed of oiled, stain-resistant beechwood, the Mabef M-31 table easel features a canvas holder that can be adjusted to any vertical or horizontal angle, and variable height adjustment that even extends below the level of the tabletop. 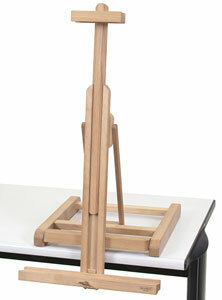 The M-31 holds canvases up to 39¼" high, up to a maximum weight of 9 lb. It measures 41¼"H × 14¼"W × 15"D. It weighs 6 lb.